From the acclaimed author of Grandes Horizontales comes a book that the Washington Post calls 'a vivid portrait of a sensual and intellectual woman.' 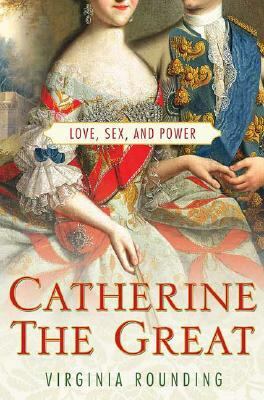 Dutiful daughter, passionate lover, doting grandmother, tireless legislator, generous patron of artists and philosophers---Empress Catherine II was all these things, and more. Her reign, the longest in Russian imperial history, lasted from 1762 until her death in 1796; during these years she realized Peter the Great's ambition to establish Russia as a major European power and to transform its new capital, St. Petersburg, into a city to rival Paris and London.Yet Catherine was not Russian by birth and had no legitimate claim to the Russian throne; she seized it and held on to it, through wars, rebellions, and plagues, by the force of her personality and an unshakable belief in her own destiny. Using Catherine's own correspondence, as well as contemporary accounts by courtiers, ambassadors, and foreign visitors, Virginia Rounding penetrates the character of this powerful, fascinating, and surprisingly sympathetic eighteenth-century figure.Rounding, Virginia is the author of 'Catherine the Great' with ISBN 9780312378639 and ISBN 0312378637.